In December 2007, the council of Australian governments agreed to a partnership between all states to create a national approach to Early Childhood Education. They developed a National Quality Framework for Australia of which Belonging, Being, Becoming: Early Years Learning Framework for Australia is a key component. The Early Years Learning Framework (EYLF) describes the principles, practices and outcomes that support and enhance young childrens learning from birth to five years of age, as well as their transition to school. All Western Australian Kindergartens begin the implementation of this new Curriculum as of 2012. 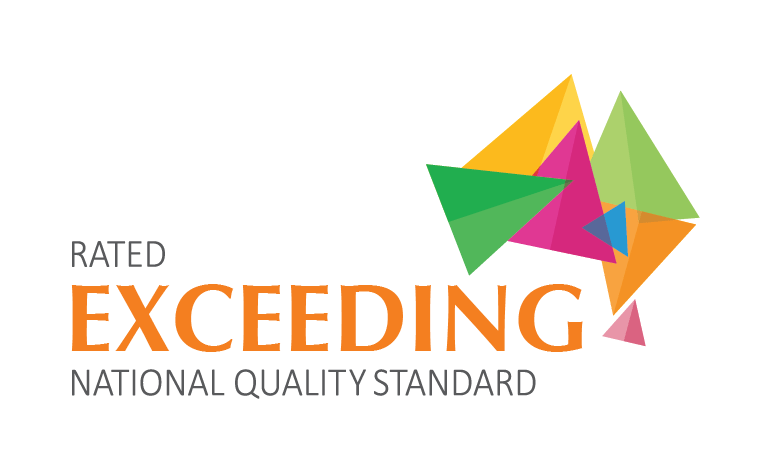 At Kids College we have been working within the EYLF guidelines and are constantly improving our systems to embed the EYLF principles throughout our early childhood educational programmes. What does Belonging, Being and becoming mean? Belonging, Being and Becoming are integral parts of identity. Children learn about themselves and construct their own identity within the contexts of their family and communities. This includes their relationships with people, places and things and the actions and responses of others. Identity is shaped by experiences. Children will experience a sense of belonging when they know where and with whom they belong. We work to create a Kids College family culture where everyone is valued and respected. Please see our community board for more information and examples as to how we achieve these goals. Children experience a sense of being in the here and now in children?s lives. We value and celebrate their achievements with our Statement of achievement reports which are in the children?s individual portfolios. Children will also experience a sense of becoming in the process of repaid change that occurs in the early years with growing up and working through the developmental levels. Children at Kids College are guided through development gently with respect to the phase they are in. Your child will be involved in a learning programme based around the 5 principles of EYLF. Learning will be embedded within the programme through activities and learning environments. Some activities are child initiated and follow the interests of the children and some are teacher planned, engaging the children in explicit, planned learning experiences through intentional teaching. We ask families, our staff and the children themselves what they are currently interested in. You would have seen these forms in your child?s classroom. We then take this valuable information and plan specific learning outcomes for your child to extend on their interests and scaffold their learning to new and interesting levels. You will see examples of these throughout the centre. This is one of the ways Kids College creates partnerships between us and your family and creates a relevant educational play experience for each child. We believe in learning through play based experiences, specifically designed interactions and experiences to enrich children?s learning and enjoyment. We run a play based program to provide the best environment for learning and providing the most stimulus for brain development. We aim to enhance the children’s understanding of the world around them through a developmentally appropriate program of activities rich with opportunities and information to spark a child’s imagination and curiosity. We combine the traditional values of play, love, respect, trust and freedom with the modern theories in early childhood education. We base our educational philosophy on research, theories, content knowledge, practice evidence and our understanding of the children and families that make up our Kids College family to ensure we are enhancing each child’s learning. Our unique Kids College curriculum and the Early Years Learning Framework builds on each child’s current knowledge, strengths, ideas, culture, abilities and interests to ensure all aspects of our program maximize learning opportunities for each child. Our educators respond to children’s ideas and play and extend on children’s learning so that each child’s agency is promoted enabling them to make choices and decisions that influence events and their world as strong capable competent learners. Families are included in the critical reflection on children’s learning and development and are part of our ongoing cycle of observation, analysing, documenting, planning, implementation and reflection on learning. We celebrate not just the end goals to learning but we celebrate the enjoyment and distance traveled in getting there, making the most of those precious teachable moments. We have stringent hygiene, health, nutrition, maintenance, safety and protection standards. We take our duty of care very seriously and will safeguard the safety and wellbeing of our children at all times as a matter of utmost priority. Get up and Grow. Produced by the Australian Government Department of Health and Ageing. This resource covers Healthy eating and Physical Activity. Munch and Move from the New South Wales government, covering essential fundamental movement skill development. I Move We Move, from New South Wales health department, covering physical activity and healthy practices. Staying healthy. 5th Edition. Preventing infectious diseases in early childhood education and care services. Produced by the Australian Government National Health and medical research council. This resource covers hygiene and infection control. Concepts in infection control, monitoring illness in children, procedures and issues for employers, educators and other staff. Foodsafe Food Handler Training Programme. Produced by Environmental Health Australia. This resource is used to train and implement food safety practices. Foodsafe Plus Food safety Program. Produced by Australian Institute of Environmental Health. Food safe Plus incorporates the Hazard Analysis Critical Control Point (HACCP) principles. Our Kids College Food Safety Programme is externally audited and has achieved their highest rating consistently. We are subject to Joondalup council inspections every three months. At each inspection since we opened we have achieved their highest indicator ranking of A, Low risk hazard. Craig and Jennifer both have Advanced First Aid training. Fire safety training through Fire Safety, Jennifer also has advanced Fire Safety and Chief warden training. We also use Centre Support resources who have extensive professional development resources, training and info sheets. We go above expectations and instead of only having one person on site trained in First Aid, CPR, Anaphylaxis and Asthma, all our carers to get qualified in each area. We strive to provide an environment of excitement and challenge, to facilitate children?s learning in all the areas of a child?s development. We provide an educationally rich environment which promotes competence, independent exploration and learning through play. We have vibrant and flexible spaces indoors and outdoors that are responsive and inclusive of the interests and abilities of each child. We also embed sustainability and recycling at Kids College to support our place in our modern global climate of environmental responsibility. We pride ourselves on our team of enthusiastic and dedicated early childhood educators who participate in a lively culture of professional inquiry and value being life long learners with ongoing professional development in order to build shared professional knowledge, understanding and skills. We have a positive workplace culture that values and supports our professionalism as early childhood educators. We believe in our team of enthusiastic educators who genuinely enjoy being part of children’s lives and enjoy creating warm responsive relationships with a foundation based in secure bonding and attachments. We have exceptional respectful and equitable relationships with each and every child entrusted in our care. We aim to support children’s overall sense of wellbeing and increase their emotional intelligence through the love and dedication each of their own unique learning journeys. “It takes a whole village to raise a child” and Kids College values our partnership with parents and takes pride in our position as our children’s home away from home, ensuring our families and children build a strong sense of belonging to the kids College family. We enjoy moments together, making memories and setting down the groundwork for a lifelong love and passion for learning. We view the context of family, culture and diversity as central to children’s sense of being and belonging. Kids College values our strong leadership that promotes our ongoing cycle of professional development with educational leadership to ensure continual improvement and a sustained commitment to excellent professional practices. We value our collaborative partnerships with professional, community and research organisations and enjoy playing an active role in shaping the future of early childhood education. We believe in advocating for the importance of early childhood education, researching and experimenting with new ideas to inspire and create better outcomes for all children. We are aiming for continuous improvement with comprehensive plans for sustaining our commitment to excellence moving with the changing needs of our families and the greater climate of early childhood education. .